Arthroscopy is a term derived from the Greek words “arthro” which means “joint”, and “skopein” which means “to view or observe”. Therefore, hip arthroscopy is a surgical procedure whereby the orthopedic surgeon can look into the hip joint with a camera inserted through small keyhole incisions. Hip arthroscopy has advanced tremendously since its earliest inception in the 1930’s. The advent of modern hip arthroscopy began in the late 1990’s with advancements in camera fiber-optics and surgical techniques which allowed for both the diagnosis and actual surgical treatment of the hip problem. Over the last decade hip arthroscopic techniques and outcomes have advanced tremendously due to improved surgical instrumentation and implant design. Hip arthroscopy has now become a common orthopedic procedure and is frequently highlighted in the sports news with professional athletes undergoing the procedure to return to competition. Why Do Athletes Get Hip Pain? Athletes with pain localized in the groin (in front, on the side, or even in the buttock) may have a hip disorder associated with athletic competition. Sports and activities that involve extremes of hip flexion and rotation (football, baseball, track, hockey, golf, wrestling, soccer, rugby, dance, cheerleading) have a higher incidence of labral pathology. This is especially true if they also have an underlying condition of the hip known as femoroacetabulum impingement (FAI). A thorough hip examination and diagnostic work up will help determine the diagnosis. Hip arthroscopy is commonly used to treat athletes with labrum tears, FAI, instability, articular cartilage injuries, and tendonitis. With the remarkable advancements in cartilage preservation techniques, hip arthroscopy has allowed athletes of all ages return to competition. Can Arthroscopy Get Athletes Back to Competition? The potential benefits of arthroscopy include: better visualization of the hip anatomy, smaller incision sizes, less surgical dissection, less muscle damage, faster healing, and decreased downtime away from competition. This makes hip arthroscopy the ideal surgical procedure in treating hip conditions in the high school, collegiate and professional athlete. Current data shows that athletes who have undergone hip arthroscopy to address their hip FAI appear to have a higher likelihood of return to sports than those patients undergoing knee anterior cruciate ligament reconstruction or shoulder instability reconstruction. Results have shown that 85% of athletes who had hip arthroscopies returned to their sports activities with 82% having full maintenance or even an improvement in their competitive abilities. Recreational and competitive runners with FAI have been shown to return 94% of the time to their running activities. 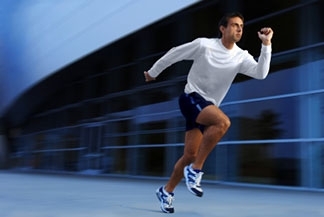 The length of time before return to sports varies amongst athletes as well as the procedure performed with some returning at 6 weeks, most at 4-5 months, and some closer to 8 months, largely depending on their hip pathology and what procedure was performed. As with most medical conditions, earlier treatment of the problem has been associated with improved outcomes. Therefore, athletes who seek medical treatment earlier for hip pain may improve their chance of full return to sport. 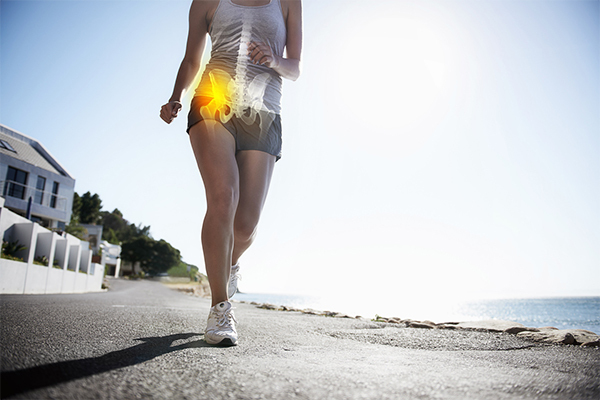 What Can Dr. Hommen Do for the Athlete with Hip Pain? Dr. J. Pieter Hommen provides a thorough hip clinical analysis in his office as well as a review of diagnostic imaging (X-rays, MRI, CT scan, and ultrasound). Many patients can be treated with conservative management such as a carefully guided therapy protocol. However, those patients that require surgery will be appropriately counseled. 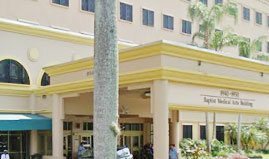 Dr. Hommen performs arthroscopic procedures of the hip and teaches orthopedic residents and surgeons in Miami and across the country in the latest in arthroscopic techniques. Furthermore, Dr. Hommen is involved in clinical research to continuously improve the techniques and outcomes of hip arthroscopy. If your hip pain has you sidelined and you seek the appropriate diagnosis of your pain, or if you wish to determine if you are a candidate for hip arthroscopy, contact 305-520-5625 or Request an Appointment Online.